For some reason, whenever the Coen Brothers release a new film, there is a lot of talk about whether the film is a “major” or “minor” entry in the brothers’ oeuvre. I reject this notion entirely, as trying to evaluate each movie in their filmography this way is shallow at best. With the best filmmakers, there are arguments to be made in favor of greatness concerning most of their films, and Inside Llewyn Davis is no exception. Set in 1961, the film follows a week in the life of Llewyn Davis (Oscar Isaac), a solo folk act in Greenwich Village. Over the course of the week, Davis interacts with various aspects of the folk scene as he cruises from couch to couch while trying to make ends meet. Among his friends and acquaintances are musicians Jim and Jean Berkey (Justin Timberlake and Carey Mulligan), Roland Turner (John Goodman), Al Cody (Adam Driver), and others. There isn’t a strong plot, but the film doesn’t suffer from a slow pace or vignette feel. It’s not that each incident in the film seems like it has a monumental effect on Davis’ life, rather like a folk song, it reveals something about our perception of the man. The film itself is structured like a folk song, seeming to end at the beginning, while the verses and chorus add new details and surprises along the way. Despite the seriousness of this review so far, Inside Llewyn Davis is absolutely a comedy. It’s not a farce or screwball, but rather the humor stems from the character’s perspective, and that signature Coen take on the absurdities of life. Llewyn is a wanderer, and one who tries very hard to appear less vulnerable than he actually is on the inside. Davis himself is a tortured protagonist, and the film reveals the source of his pain gradually, so that we come to understand him first as an observer. Isaac gives a naturalistic performance, fully inhabiting the character as well as giving dynamic musical performances that convey many different emotions over the course of the film. 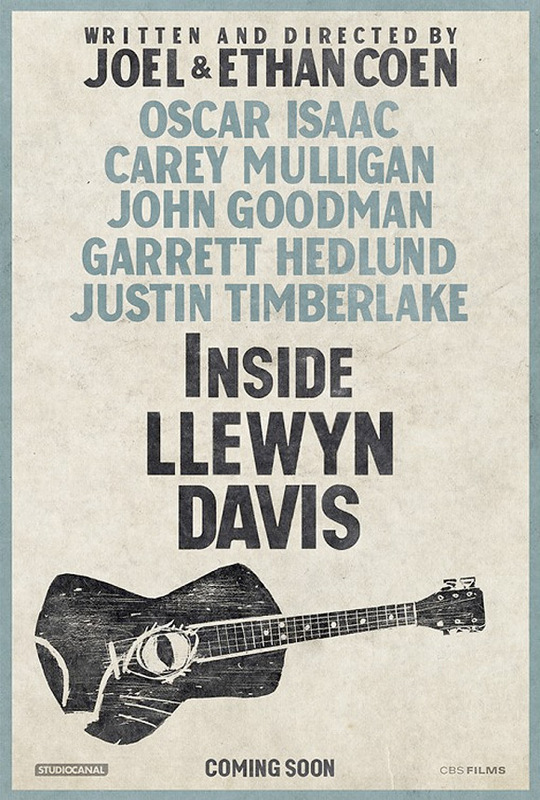 Inside Llewyn Davis is one of my favorite films of the year, as well as one of my favorite films from the Coens, even just upon my initial viewing. The film accomplishes everything it sets out to do, whether commenting on the folk scene, New York, or the subject of loss. A fully realized vision exceptionally executed. 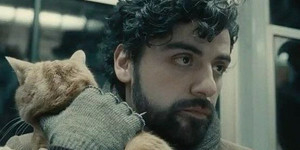 Inside Llewyn Davis opens in Philly area theaters today.